Kim Dillard is the Physical Education Teacher at Deer Park Elementary School since 2002, and is the Girls Tennis Coach at Westfield High School in Centreville. Kim is the Tennis Professional at Virginia Run, Sequoia Farms Swim and Tennis Club and at Sully Station I. 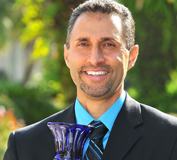 He has been a national speaker at many USPTA National Conventions including the 2009 Convention at Marco Island, Florida. Kim has been on the Faculty of Speakers at the US Open Tennis Teachers Conference. Kim has published many Tennis Tips in Tennis magazine and has written many feature articles for the USPTA ADDvantage magazine. Kim published his first book "The Doubles Connection, How to Be a Better Doubles Partner" in 1998. Kim has been teaching tennis for more than forty years and has achieved a Master Professional rating through the USPTA. Rod has been a leader in the tennis community since 1971 when he started his tennis career by coaching the Burmese National Tennis Team in preparation for the SE Asian Games. In 1972 he became Director of Tennis at Washington Golf and Country Club where he served in this capacity for the next 30 years. During this time he enjoyed working with the USTA and USPTA. Rod served the USTA/ Mid-Atlantic as the first Junior Tennis Council Chair. He later served as Mid-Atlantic Section President and Delegate to the USTA from 1991-1998. He has served on various national committees including Player Development, Junior Team Tennis, and the USTA Tennis Industry Council. From 1991-1993 he served as President of the Mid-Atlantic Tennis Foundation. He currently serves as the Executive Director of the USTA/Mid-Atlantic Section. He felt fortunate to be involved with the USPTA at both the Division and National Level. From 1977-1980 Rod was the President of the USPTA/Mid-Atlantic Division. He served on the USPTA Executive Committee from 1976-1996 and the National USPTA Board of Directors from 1984-1992. During 1988-1990 Rod served as President of the USPTA. During his time on the Board he got to represent USPTA by speaking at several USPTA divisions as well as Japan and Venezuela. During his career he has achieved the USPTA Master Professional Rating in 1984 and was named the USPTA National Professional of the Year in 1980. In 2000 he was elected to the USTA/Mid-Atlantic Tennis Hall of Fame. In March of 2012 Rod was inducted with the inaugural class of the USPTA/ Mid-Atlantic Tennis Hall of Fame. Feisal Hassan, a USPTA Master Professional, is the General Manager and Tennis Director at the Midlothian Tennis Club in Midlothian, Virginia. He is also a member of the HEAD Penn Racquet Sports National Advisory Board and National Speaker's Bureau and holds USPTA specialist degrees in Competitive Player Development, Facility Management and Little Tennis. He is a USTA Recreational Coach National and Quickstart Trainer, a member of the National Cardio Tennis Speakers Team and co-chairs the USPTA National Education Committee and the USPTA College Curriculum Committee. He is also on the USPTA Testing Committee and USTA National Youth Education Committee. He was also the Director of Certification & Testing for the USPTA Middle States division and was co-chair of the USPTA National Diversity Committee. Feisal was also the Director of Coaches' Education and Junior Davis Cup Team Coach for Tennis Zimbabwe. Feisal was also voted in Tennis Industry magazine's prestigious "40 Under 40" list for being one of the top 40 men and women under 40 years old who have had and will continue to have a strong influence in the sport and in the business of tennis - both nationally and internationally. Hassan writes and conducts seminars, workshops and clinics for international, national and sectional organizations and events. He has also written the book, "How to Handle Difficult Players and Conditions." Feisal is currently working on his second book, "Doubles: Phases & Situations." In 2011, he was awarded the USPTA's most prestigious award, the Alex Gordon National Professional of the Year and the 2011 Racquet Sports Industry Champions of Tennis Award. This is the Racquet Sports Industry's (RSI) most prestigious awards recognizing and honoring the people, businesses and organizations that are making a difference in the tennis industry. He was also a member of the USPTA Mid-Atlantic Hall of Fame Inaugural Class of 2012. Previous accolades include the USPTA Industry Excellence Award in 1999, 5-time Division Tester of the Year, 11-time USPTA Division/State Pro of the Year, and 7-time national Top-10 point holder in the USPTA's Career Development Program. Terry Killen was inducted into the USPTA Mid-Atlantic Division Hall of Fame in March 2012 as part of the inaugural class of inductees, and is the first Maryland tennis professional so recognized. A native of Baltimore, Maryland, Terry has lived in the Rockville and Darnestown areas of suburban Washington, D.C. since 1975. 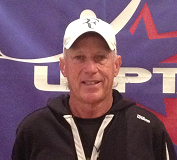 He is a certified USPTA Pro-1, and has been a member of the USPTA since 1973. He has spent the better portion of the last four decades dedicated to the improvement of tennis instruction and coaching in the Mid-Atlantic region as a teaching professional, school and program administrator, and tennis coach of all age groups and skill levels, including at the high school and college levels. In this capacity, he has developed numerous junior players who have achieved top state and sectional rankings. He was awarded the District of Columbia Association of Health, Physical Education, Recreation & Dance Outstanding Service Award for Coaching Excellence in 1984. 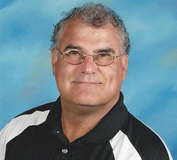 Terry presently serves as a USPTA National Certification Tester. 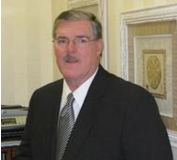 He previously served as a USPTA Mid-Atlantic Section Divisional Officer; he also served multiple years as both the Maryland representative and Greater Washington, D.C. representative of the Mid-Atlantic Division. He was Mid-Atlantic USPTA Awards chairperson multiple years. He has been a speaker at local conferences, has authored tennis articles for local and national magazines, and has attended well over twenty national conventions, believing in the beneficial influence of the USPTA with its emphasis on continuing education. The Mid-Atlantic Division of the USPTA has recognized Terry as the Maryland Professional of the Year six times, the Greater Washington, D.C. Professional of the Year three times, and as the Mid-Atlantic Coach of the Year. He was also selected as the USPTA's Mid-Atlantic Division's Over 45 Player of the Year for eight consecutive years. In addition, he received the USPTA's National Ranking six years in different age groupings in singles and doubles, and held top five USTA Mid-Atlantic Sectional Rankings in twelve different age divisions in both singles and doubles. He has held two USTA National Rankings in Men's 55 Doubles (#12 in 2005, #38 in 2006). He has been a member of the USTA Mid-Atlantic Intersectional Team in both the 45's and 55's men's age divisions, serving as a two-year captain of the 55's Atlantic Coast Cup Team. A former collegiate varsity basketball and baseball player at Frostburg State University, Terry was awarded the university's prestigious Jim Anderson Memorial Award in 2005 in recognition of his accomplishments as a teacher, coach and administrator in the fields of education and professional tennis. The award also cited his continuing success as a tennis professional, player and mentor. He is especially proud that his son Terence, also a USPTA Pro-1 Tennis Professional, is following in his footsteps, serving the greater Washington, D.C. area. Terry is a USTA life-time member, a USRSA certified national stringer, and a proud member of the Wilson Sporting Goods National Tennis Advisory Staff/National Team. He is semi-retired, spending six months of the year playing tennis in Bradenton, Florida, and working the other six months as an assistant tennis professional in Potomac, Maryland. He is also proud to devote his time to worthy tennis foundations and fundraisers, such as Madisen's Match, an event sponsored by the Tim and Tom Gullikson's Pediatric Brain Tumor Foundation.